Die letzte große Insel der indonesischen Kette ostwärts. Durch starke Vulkanaktivität stets im geologischen Wandel begriffen, die Urwälder kaum erforscht, die Einwohner beeinflusst durch Katholiken und Moslems, doch häufig noch der schamanischen Tradition verpflichtet. Solo- und Chorgesänge mit Begleitung auf originalen, meist perkussiven Instrumenten. 14 Tracks mit der ursprünglichen Musik, 11 mit der christlich beeinflussten. The district (kabupaten) of Manggarai is by far the largest of the five districts of the island of Flores, situated in Indonesia's East Nusa Tenggara province. Its capital, Ruteng, is situated in the uplands of Central Manggarai at the head of a network of valleys that constitutes the island's main dry and wet ricegrowing area. From the 16th to the 19th centuries, the kingdoms of Goa in South Sulawesi (Celebes) and Bima in Sumbawa Island each tried to control trading activity in and from Manggarai and influenced Manggarai culture. Legend has it that it was the ancestors who invented and still often play the nggongtembong (drum-gong) ensembles at ritual moments. The solo and choral circle dances (raga, gezang, danding, sanda and ronda), the musical whip duels (main caci), the raininducing tetek alu and other magic dances, and the nggongtembong ensemble ritual music are still used as forms of meditation between the ancestors and human beings at agricultural (new year, field preparation, planting and harvesting) ceremonies and life crisis (birth, marriage/bridewealth stages and death) ceremonies. Since the 1930s the Manggarai population has been predominantly Catholic, with Muslims occupying some coastal areas and a small part of central Ruteng. A cathedral, large churches and many shrines to the Virgin and Saints are to be found in Ruteng and dotting the countryside. Socalled animist beliefs and rituals based on veneration of ancestral and nature spirits are still strong, often performed in the traditional round thatched houses that still dot villages in and around Ruteng and throughout the countryside, though most homes today are modern dwellings with Christian statues and pictures on the walls. The form of Catholicism practiced in Manggarai has always been highly Marianoriented. In line with the edicts of inculturation since Vatican II, the Catholic Masses and other services on special church days now feature traditional Manggarai music. Recently the visit of the Bunda Maria statue from Fatima in Portugal travelled around many Manggarai churches, with religious songs sung in street processions and other festive situations. These manifestations of musical and religious syncretism and successful inculturation take place against a backdrop of ancient tradition and modern social change. 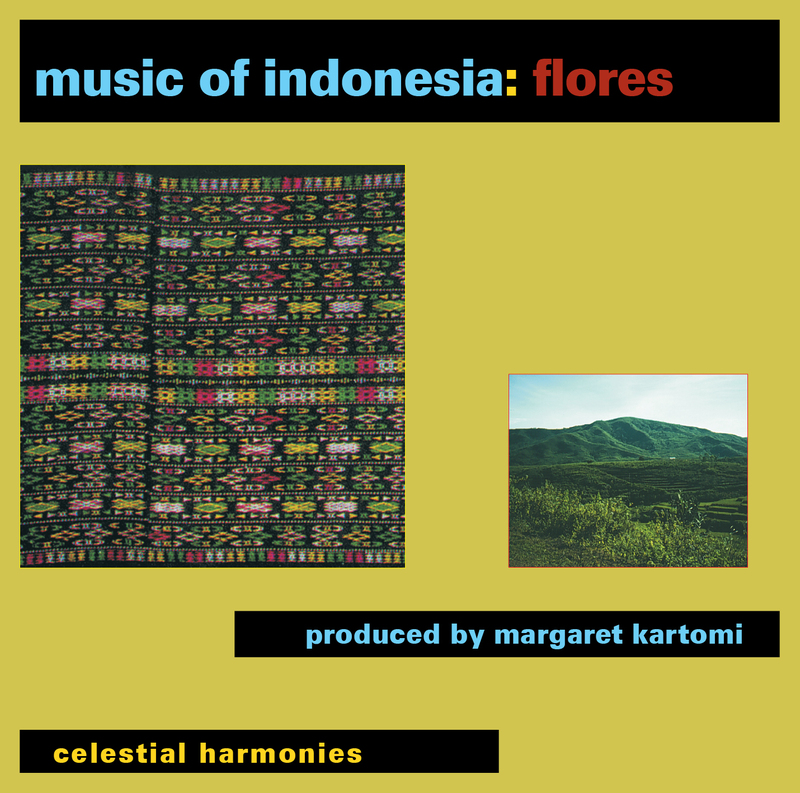 In this recording, the listener will find selections from two main caci performances in central Manggarai and one from a village in western Manggarai. Differences between the styles in western and central Manggarai are fairly marked. Samples of other traditional ritual music and the various kinds of solo and choral singing, both traditional and for holy days of the church are also included.